Apparelmaster is committed to undertaking business in a way that strives to minimise our impact on the environment and supporting our communities. Formal measurement of Carbon Footprint is undertaken at a number of franchise business premises via a formal and Carbon and Sustainablity programme that follows international standards. Businesses currently participating include: Pryors Apparelmaster, La Nuova Apparelmaster, Apparelmaster Christchurch, Apparelmaster Wellington, Apparelmaster Waikato, Apparelmaster Waiarapa and Diamond Apparelmaster. 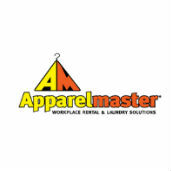 Apparelmaster Christchurch has invested in alternative fuel options with use of bio-diesel on site and in their fleet. 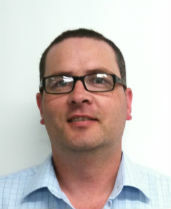 McCallums Apparelmaster (Invercargill) has converted from light fuel oil to using wood chips to fire up their boiler. Use of GPS tracking system in Pryors Apparelmaster and other franchisee fleets (Navman On Line AVL2 system) means that routes can be reviewed to ensure optimal efficiency in relation to customer delivery and fuel use. Committment to investment in technology that is energy and water efficient with some plants installing a Continuous Batch Washer which includes an intelligent integrated water recovery system meaning cold and warm water can be used for different processes and recycled, resulting in as little as 8 litres of water being used per kg. It also has a heat exchanger package for warm rinsing and 'spin turbo' technology resulting in better water extraction and lower residual moisture in the fabric meaning further energy savings in the drying process downstream. Waste reduction initiatives including recycling of old garments into rags, requesting supplies are not plastic wrapped (where appropriate), and reducing use of plastic wrapping with customer items. Safe use of chemicals - Researching chemical providers to check they have environmental policies which are acted on and investing in technology that injects accurate chemical doses in the laundry process so there is no overuse while still ensuring the quality of laundering is not compromised.